Welcome to the post-Holiday edition of the Jewish-Israeli Bloggers Carnival! Dry Bones about Syria. Yes, if you haven’t yet heard, Dry Bones blogs. return to an active Jewish life. Shaister reminds us that not every Jew is raised knowing what Yom Kippur means. If You Will It reflects on his post-aliyah Simchat Torah, and brings up some very interesting points. 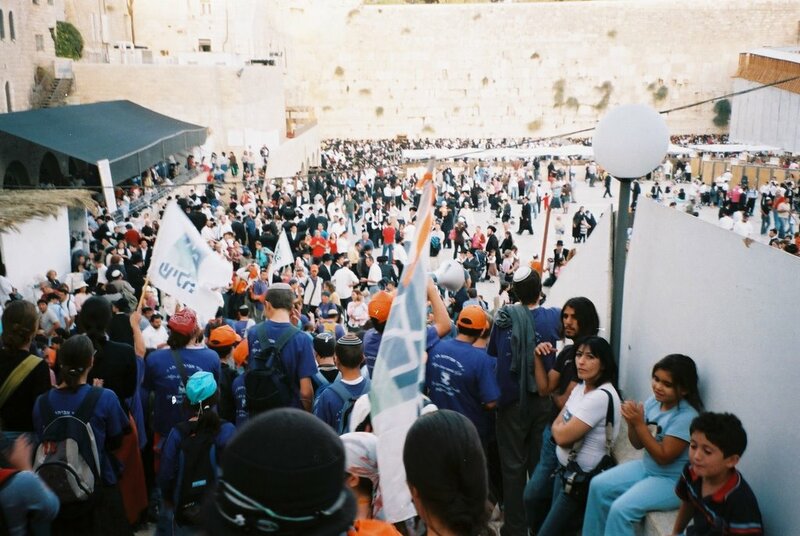 It’s hard for many of us to be just spectators, and Devarim tells us how hard it was for her this Simchat Torah, since she wasn’t allowed to hold a Sefer Torah. There’s a mitzvah of “Aliyah l’Regel” to Jerusalem. 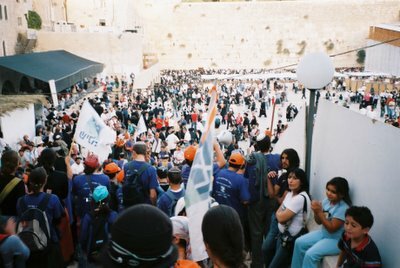 “Regel” means foot, so read about the march to Jerusalem, and see the pictures here and here. Israel Perspectives reminds us of differences between the lives of Jews here in Israel and those abroad, even if they are here for the holidays. And Cosmic X reflects on American Orthodox Jewry. But Esther, Outside the Blogway, shows what power some other rabbis have. A bit more on the holiday spirit, what’s special about being a Jew and a great-looking succah from Boker Tov, Boulder. 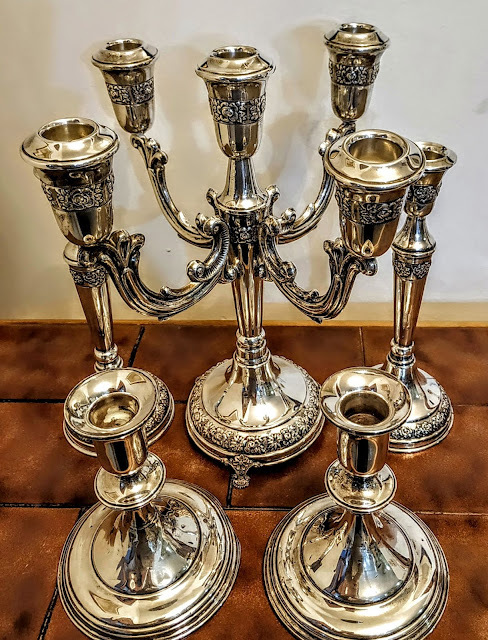 There’s more to being a rabbi than preaching and holding the Sefer Torah; the Velveteen Rabbi tells us of her Holiday experience. Here’s an important lesson from Shemittah Rediscovered. And Moze writes of how her kids took their minds off of “hamatzav,” the “situation” because of a star. Yes, Succot is a holiday that causes men to complain of hard work, but how does it compare to the holiday seasons when women have lots of work? And don’t forget that we still have all the cooking plus, even though it’s usually the men constructing the succah and hurling, rolling or dropping the s’chach. Elms in the Yard shows a little Passion. And “passion” brings me to the singing rabbi, honored and forgiven by many after his death, the unique and intriguing, Rabbi Shlomo Carlebach. Thank Shaister for this well-written and well-researched post. And on a more serious note, nobody can escape terror. Read what Israel Perspectives recommends. A Very Heavy Stone quotes the Bible and sounds like a modern prophet of doom. I hope that Chayyei Sarah’s “b’shert” reads this, contacts her real fast and they should G-d willing consider me the shadchan. Israel Perspectives gives his opinion about Jewish singles and the aliyah issue. Celestial Blue's in Israel; read about her adventures and look at her gorgeous photos! Many of us Torah observant Jews have a problem with the chareidi life style, in which the men don’t work; they expect to be paid for learning. This is in direct conflict with the great Torah scholar, Maimonides, as told on Blacktriangle. Reb Chaim HaQoton writes a two-parter about the halachot concerning murder and morals in Judaism. I think that one of the great questions of the world is how or why a person is willing to even kill himself if the act will also kill/murder someone he hates. Unfortunately, we’re in constant danger, because Moslems think such murder is wonderful. Blog D’Ellisson gives us some background why. And here’s more comparative religion from Rishon Rishon. Why is the death of one Rachel considered tragic by world media, while the murdered Rachels are ignored? Thanks to Israpundit for the article. Our murdered Rachels were murdered by terrorists, and so many good Jews have been murdered, that many of us are numbed, beyond feeling. 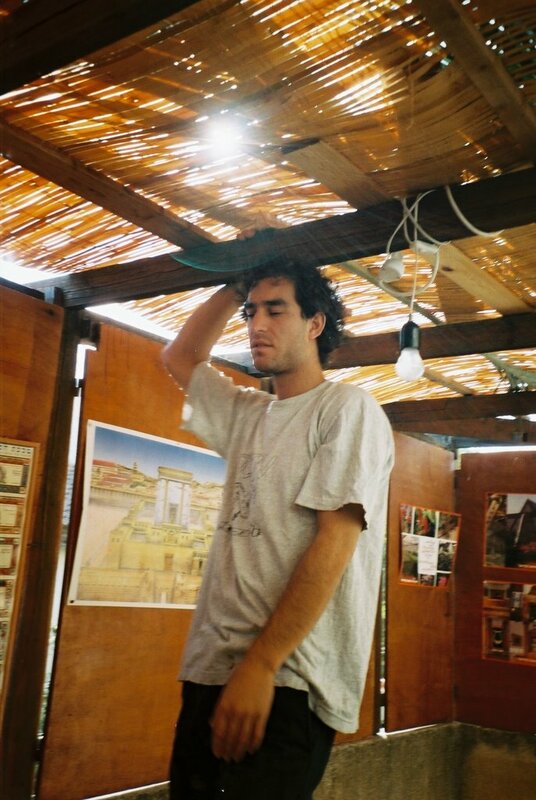 Yeranen Yaakov writes how he makes himself mourn and feel for the many he has never even met. If you haven’t heard, the Israeli Government is talking about giving the Vatican a building used by the Diaspora Yeshiva at Mount Zion, Jerusalem. Read what my husband wrote. More details are here. And if you think that Jewish prayer on Har HaBayit is a new issue, take a look at this news item he scanned in from 1971. And read what Israel Perspectives discovered. Here’s more on the digs from Smooth Stone. Unfortunately, it has not been a very joyful time for some, since they their succah has more permanence than anything else in their lives. On Blog Free! 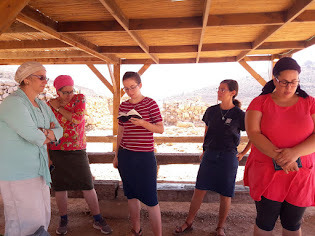 a mother/grandmother writes of her visit to Ir Ha'Emuna to see her daughter and grandchildren. The situation is terrible, and I think that people are giving them the wrong advice. What do you think? Read this letter from one of the evacuees. Daniel writes about a new, or first, Jewish radio programme in England. And the Jewish Atheist shows illustrations from a gorgeous Bible. I don’t have time to play Avian-MEME-7 flu virus right now, so to all of you, please consider yourselves tagged by The Muqata. Sorry, Jameel, I’m sure you understand. And just to show no hard feelings, I’m really impressed that you showed seven ways to tie tzitziyot with Techelet. Biur Chametz and Nathan’s newly re-decorated blog explain that MEME-7 is not just a time-wasting game. I’ve been a bad girl and didn’t follow Mirty's instructions to save my template before replacing the blogpatrol code in Shiloh Musings. Now the “buttons” or whatever they’re called are missing from both the blogpatrol and sitemeter counters, even though they’re on the template. Help! Send your links for the next edition via Conservative Cat’s handy form, and at the same time you may discover other “carnivals” to visit and enter. Jack's Shack is hosting the next Havel Havelim; you can also send your post directly to talktojacknow at sbcglobal dot net. Thanks to Soccer Dad for his hard work keeping this going, and if you want to host, please let him know at dhgerstman at hotmail dot com. Shavua Tov and have a Wonderful Week, even though it's back to work for some of us after almost a month of vacation! I shouldn't complain, since it's one of the perks of teaching in a yeshiva high school in Israel. I took the photo on top approaching the kotel, Sunday Chol Hamoed late afternoon, yes, it was packed, Baruch Hashem! Great job! Thanks for all the links, especially to Shanna's blog (Devarim). Wow. There are lots of great Jewish blogs out there. and great Jewish bloggers, of course. Thanks so much for including my post on V'zos Haberacha! Great job overall and thanks for taking the responsibility. Just to clarify based on your comment/question, the gemara lists v'zos haberacha as specifically the reading for the 2nd day of Shmini Atzeres (which was not yet called Simchas Torah), not for the first day. It lists "kol habechor" for the first day, as is still read today (though we start earlier at "aser ti'aser"). In general all the readings given in this gemara are specifically for chutz la'aretz, as there are separate readings listed for the two days of each yom tov. The annual laining cycle in general stated in bavel and was only adopted in eretz yisroel centuries later. Esther, you are included, read it again. Eli, thanks for the additional explanation. Simchat Torah is the Holiday when I find Art Scroll difficult to us. Now I know why I'm supposed to teach all the different verb forms. It would have had been clearer if it had read: "even if you hadn't..."
LOL! So much for my editing skills. ;) Good point.